SANTA MONICA, Calif. (November 25, 2013) – Gooding & Company, the auction house acclaimed for selling the world’s most significant and valuable collector cars, is thrilled to announce that its annual Scottsdale Auctions on January 17 and 18, 2014 will feature one of the most collectible and superior offerings of post-war Mercedes-Benz to come to auction in recent years. This important group boasts more than 20 vintage examples of the marque spanning nearly four decades. Stand outs include a 300 SL Gullwing barn find that has never previously been offered for public sale and a stunning, award-winning 1956 300 SL Roadster. Delivered new to Los Angeles, this three-owner 300 SL Gullwing barn find (estimate $1,100,000-1,400,000) is one of a select group originally finished in the classic color scheme of black (DB 40) over red leather. Owned by the same family for almost 50 years, this highly original, matching-numbers car is an exciting find for Mercedes-Benz enthusiasts. Gooding & Company’s Scottsdale Auctions mark its first appearance for public sale. This European specification Roadster with the improved “large” drum brakes (estimate: $900,000-1,200,000) was delivered new to the Kingdom of Bahrain. It was finished to an exceptionally high standard in an elegant white over black color scheme during a recent restoration by Brian Anderson of Vista, CA. In 2013, this 300 SL placed 2nd in the Roadster class at the annual Gullwing Group Convention and won its class at the La Jolla Motorcar Classic. It is desirably equipped with factory hardtop, optional Nardi steering wheel, fitted luggage, tools and manuals. 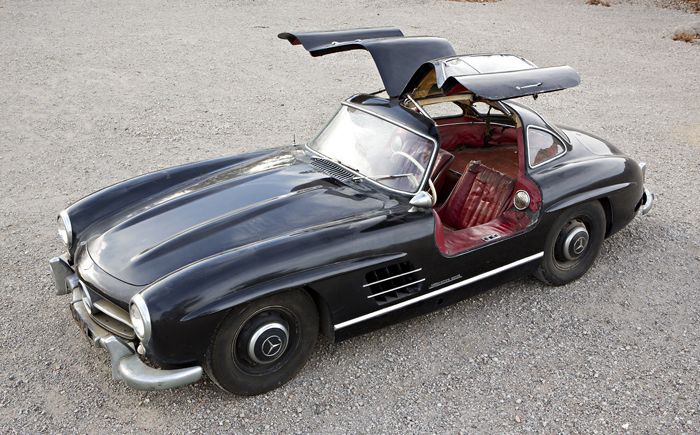 The 300 SL Gullwing with its technological firsts and unique iconic doors is one of the most collectible Mercedes-Benz models in the world today. Expertly restored and tastefully presented in a stunning black over red color combination, this car is a matching-numbers, low mileage example and was retained by a single family for nearly 50 years. It is in concours condition and would be a welcome addition to any garage (estimate: $1,350,000-1,700,000). 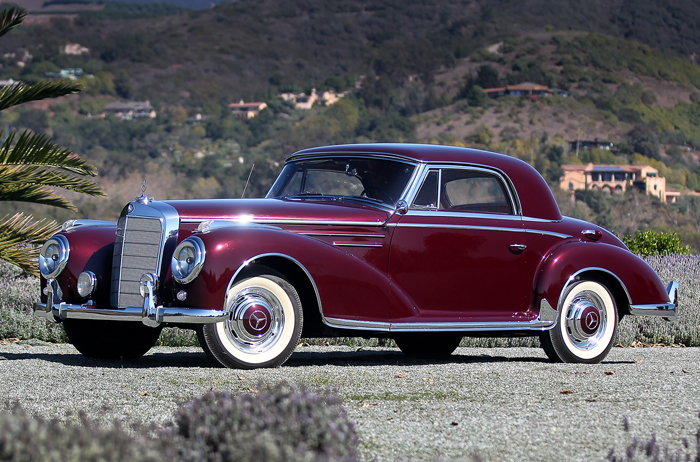 An exceptional example of Mercedes-Benz’s luxurious grand touring coupe, the 300 Sc is a unique combination of quality and design (estimate: $500,000-700,000). It is one of the earliest fuel-injected variants of this model and highly sought after by collectors. Recently restored to exacting standards, this 300 Sc is tastefully finished in burgundy with tan leather interior and well appointed with factory luggage and other sought after extras. 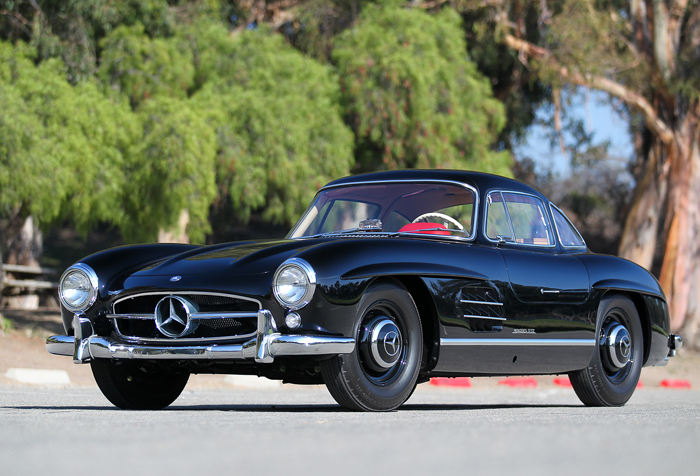 Additional Mercedes-Benz highlights from the Scottsdale Auctions include a 1960 300 SL Roadster (estimate: $800,000-1,000,000), a 1971 280 SE 3.5 Cabriolet (estimate: $200,000-250,000), a 1971 280 SE 3.5 Coupe (estimate: $110,000-140,000), a 1961 190 SL (estimate: $160,000-200,000), a 1971 280 SL (estimate: $100,000-120,000), a 1966 600 SWB (estimate: $90,000-120,000) and a 1989 560 SL (estimate: $35,000-45,000), among others. Gooding & Company, internationally celebrated for its world-class automotive auctions, provides unparalleled service in the collector car market, offering a wide range of services including private and estate sales, appraisals, and collection management. Gooding & Company has realized 50 world records and sold $192.6 million in auction sales in 2013. 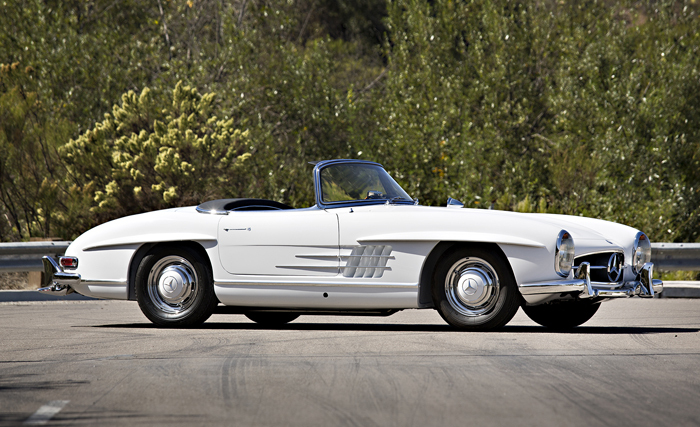 The annual Scottsdale Auctions will take place on January 17 and 18, 2014 and The Amelia Island Auction on March 7, 2014. Preceding each auction, a complete catalogue is made available online at www.goodingco.com and a virtual auction guide is published via Gooding & Company’s IAC award-winning iPhone and iPad app. For additional vehicle information and up-to-the-minute results, follow Gooding & Company on Facebook and Twitter @GoodingCompany.